Lync 2013 is a platform that standardizes all modern forms of business communication, integrating IM (instant messaging), presence, audio, video, web conferences and voice calls, offering users a full experience for them to interact as if they were face to face, all through a clear and simple interface. Migesa has broad experience in this field, as well as alliances with manufacturers and partners to complement your offer, thus giving you the best consultancy and support to implement Lync in your organization. Communicate remotely through IM, audio, video or voice calls from any place with Internet access. Simple and efficient communication through a familiar experience; Lync 2013 is compatible with Windows and Mac equipments, as well as with Windows Phone, iOS and Android smartphones. Lync Web App allows PC and Mac users to access meetings from an explorer with a full experience that includes IM, voice, video and screen sharing. Carry out online meetings, share audio and HD video with up to five participants at once in the same session. Enterprise Voice is a Lync Server service which uses IP phones and delivers the voice option to replace traditional systems of PBX (Private Branch eXchange) switchboards. Migesa services for Lync Voice offer total integration in the way of communicating, allowing common functions to take your organization’s calls, such as answering, redialing, transferring, call on hold, forwarding, holding and resuming a call from different devices. Thanks to the industry standards and interfaces to interoperate, Lync uses different technological solutions and adapts to any current phone solution, either by using gateways or interconnection with public networks and on site servers. Make and receive calls regardless of the device or connectivity; you do not need a VPN (Virtual Private Network) connection. Answer, transfer to your voice mail, mobile phone, or any other public network telephone (PSTN). Share management with one or several representatives; when they answer, the caller will be notified that it is his/her delegate. You can perform tasks such as taking and making calls, and starting voice conferencing. Devices that provide the integration of traditional switchboards with Lync to connect the two worlds (analog/digital with VoIP). Devices certified to integrate directly with Lync through SIP trunks, offering interoperability. Call recording, Telephony + PIN, Phone Reporter, SIP Trunks. Migesa, as TIC integrator and thanks to its strategic alliances, provides audiovisual and technological equipment to complement the Lync and Lync Voice services. Let our experts advise you and build solid solutions in your company’s facilities such as conference rooms, interactive classrooms, phone support tables, among other solutions. 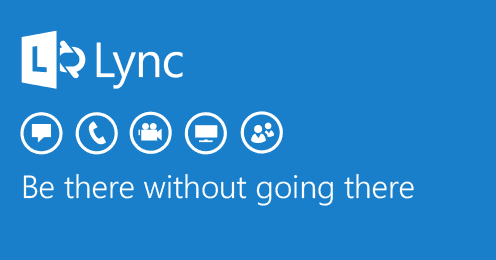 They allow for a better audio experience for users who use Lync; these devices are optimized to facilitate use by users. Phone type desk devices compatible with Lync; they integrate presence functions, join conferences, among other advanced functions. Contact Center solutions compatible with Microsoft Lync; this allows companies to leverage their investment in order to complement their needs. Video conference systems fully optimized for Lync; they integrate all functions and they use complements such as touch screens and lighting controls, among others.